How robotics are revolutionizing farming. A worker climbs a ladder, spots a ripe apple, and gives it a quick once-over to make sure it’s not diseased or damaged. He snakes his arm around a branch, grabs the fruit, and gives it a twist to snap the stem, then gently places the apple into his bag. Unskilled labor, yes, but robotics expert Manoj Karkee at Washington State University notes how many complex decisions and movements go into that single second of activity. “It’s perception and decision-making, then it comes down to moving the hand—manipulation,” he says. picking fruit or recognizing which berry canes to prune or which plants to spray in a growing crop. Unheard of. Computer processors are cheaper, smaller, and more powerful than ever. So are batteries, sensors, and GPS systems. Karkee says a few thousand dollars can build a robot that would have cost several times as much at the start of his career in the mid 2000s, with machine learning and analytical capabilities unheard of even 5 years ago. Mechanization of fieldwork isn’t just more feasible than ever, it’s also more necessary. Farm labor is increasingly expensive and scarce, and many growers have a difficult time managing for peak labor demand. Karkee’s robots—a tree fruit picker, a cane pruner, an autonomous weeder—won’t replace an entire crew. 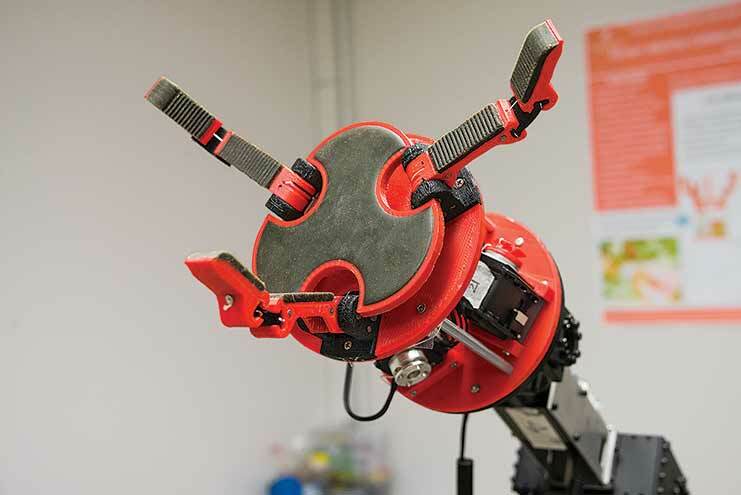 It is taking years to optimize a robotic “hand” capable of the complex motion of picking an apple, as well as the arm and vision system that can guide the hand to a ripe fruit. Changing agriculture. Agricultural robots will change what it means to be a farmworker. There will still be picking, hoeing, and spraying to do, but many next-generation farm jobs will involve working with robots or maintaining them in the field. Robots are now capable of learning from skilled operators, streams of data (for instance, thousands of photos of weeds), or from other robots that encounter similar situations or conditions. Farm workers will teach robots to function more effectively while also looking to the machines for cues, much as drivers of autosteer tractors watch their red-and-green light bars. Robots will change crops, too. Just as modernization pushed breeders to develop dwarf trees, evenly ripening fruit, and shatter-resistant grain, robotic harvesters will rely on pruning systems and trellises that make it easy for mechanical arms to reach fruit. Small bots, big prospects. Small is big in robotics. “The hypothesis is that small robots working in large teams will be able to accomplish more than just current equipment alone,” says Girish Chowdhary at University of Illinois. 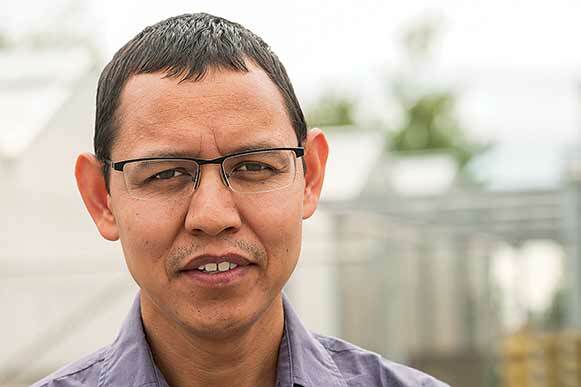 Manoj Karkee of Washington State University integrates computing and mechanics. His lab’s TerraSentia robot—which analyzes breeding plots for desirable traits—and AgBot can cruise under the crop canopy, on the prowl for signs of disease, nutrient deficiency, or weeds. Chowdhary notes that their construction and composite body parts—many of them 3-D printed—are modeled on drones, not miniaturized tractors. “The simplicity of the system is the key to its robustness,” Chowdhary says. Chowdhary and Karkee have worked hard to make the complex simple. Now, prototypes are in the field and commercial bots are just a few years away. “Labor, technology, and biology all are coming together and creating a ripe situation for automation and robotic technologies to be successful,” Karkee points out. "I wanted to create a destination." Ag university adapts to train the tech generation.